We finally know for sure who Aquaman will face off against in the upcoming DC solo flick. 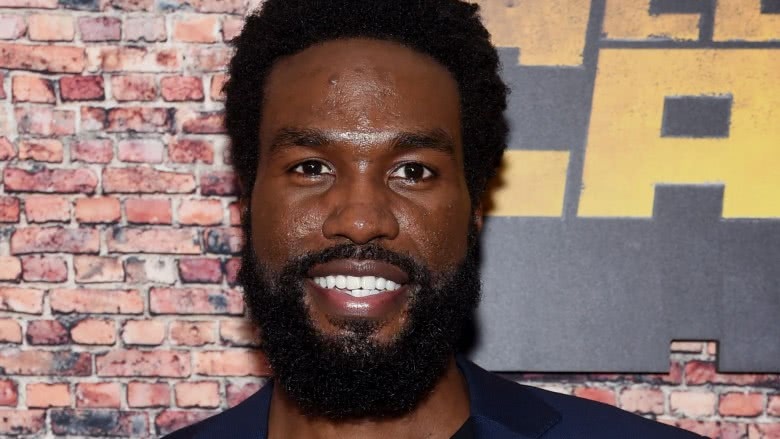 It's been rumored for a while that Yahya Abdul-Mateen II, star of the Netflix series The Get Down, would have a part opposite Jason Momoa in Aquaman, but no details had come to the surface. Abudul-Mateen put those rumors to rest on Twitter in response to a congratulations tweet from his Baywatch co-star Dwayne Johnson. His reference to being "tan" is a callback to a joke you might have seen in the Baywatch trailer. The villainous Black Manta first appeared in a 1967 Aquaman comic, and he's long been the hero's arch-enemy. Black Manta's origin story has changed some over the years, but he's a human who wears a high-tech battle suit that allows him to breathe underwater and shoot optic blasts from his helmet. He's also got major beef with Aquaman, who killed his father in the comics. There's a solid chance that Ocean Master (Patrick Wilson) and King Nereus (Dolph Lundgren) will be adversaries to Aquaman in the movie, but it's believed that Black Manta will serve as the primary villain. It's not yet clear if director James Wan will stick to the character's origin story from the comics, but it wouldn't be too surprising. Other members of the cast include Amber Heard as Aquaman's queen Mera, Nicole Kidman as the superhero's mom, and Willem Dafoe as Vulko, the chief scientific advisor of Atlantis. Aquaman hits theaters Dec. 21, 2018, but we'll first see Momoa as the character in Zack Snyder's Justice League, slated to arrive this November. Momoa said Aquaman will be a "swashbuckling action-adventure."